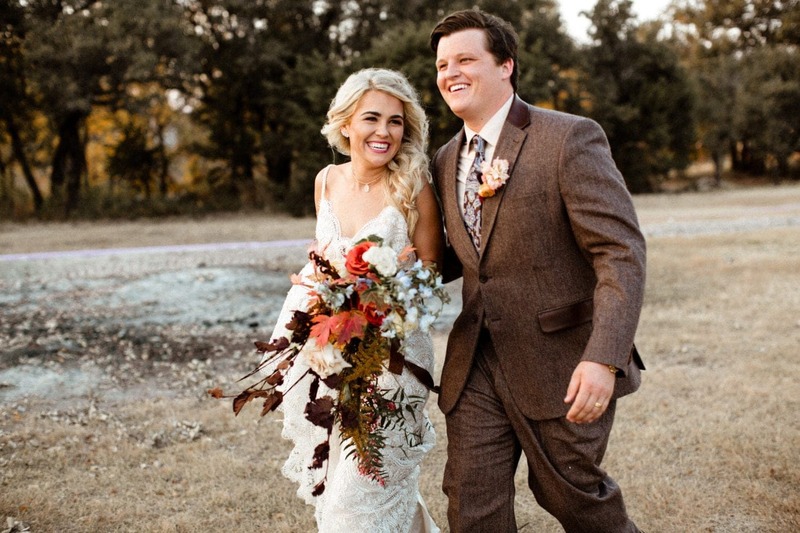 Getting to know Savanah and Clay was wonderful. 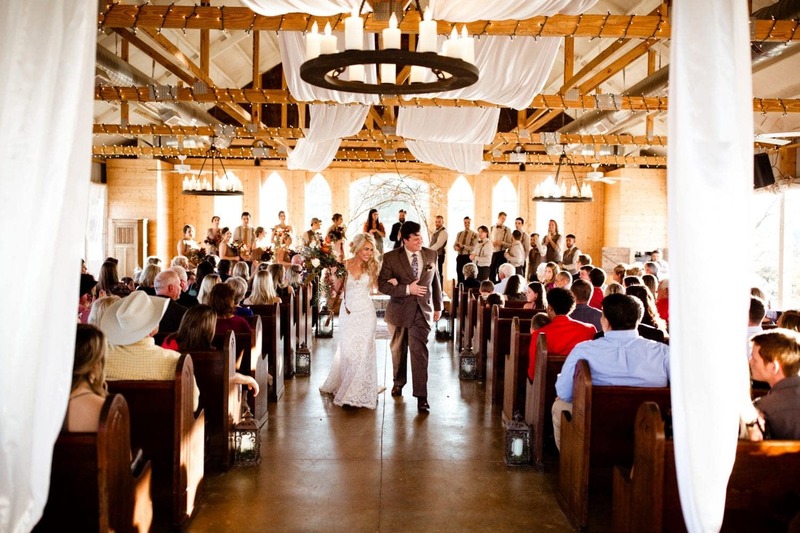 When we pulled up to their venue, we were ecstatic. 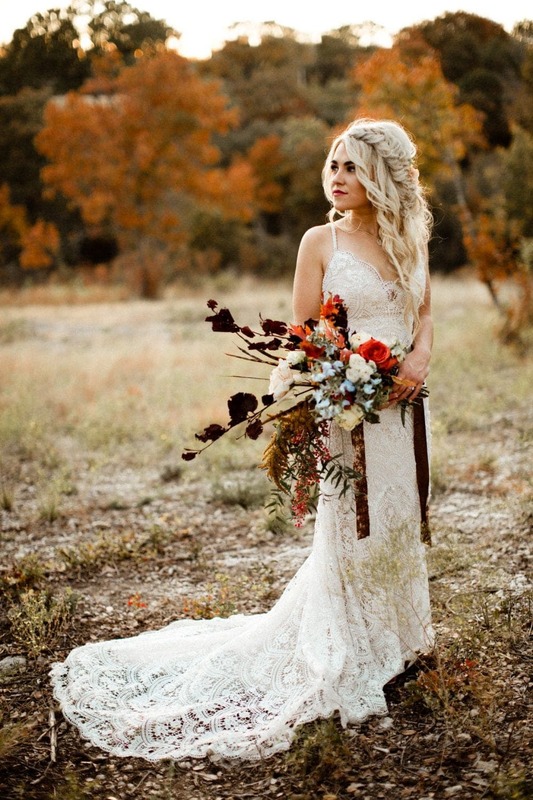 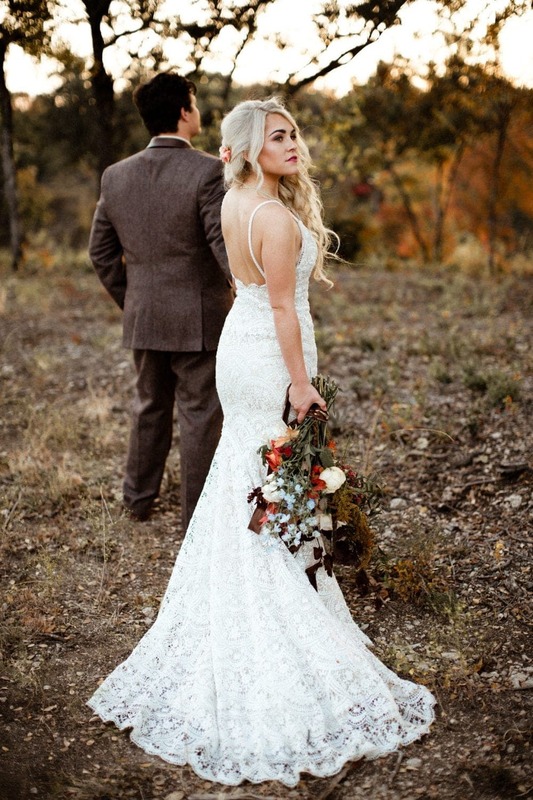 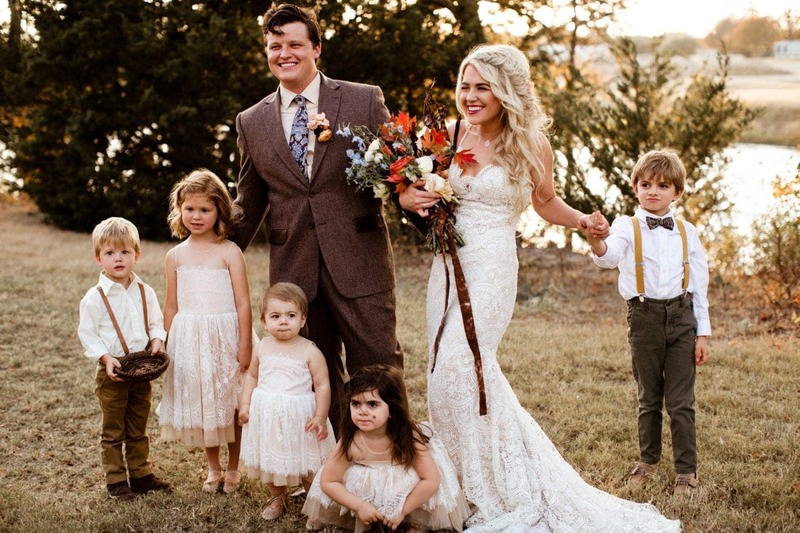 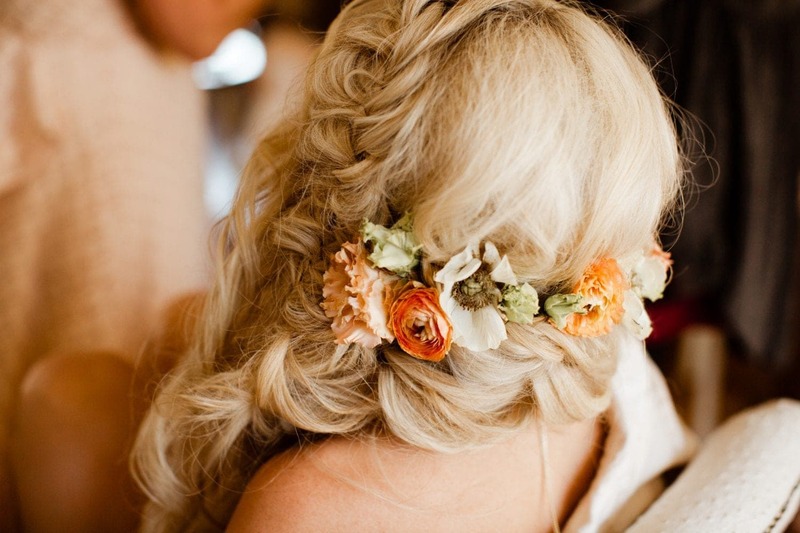 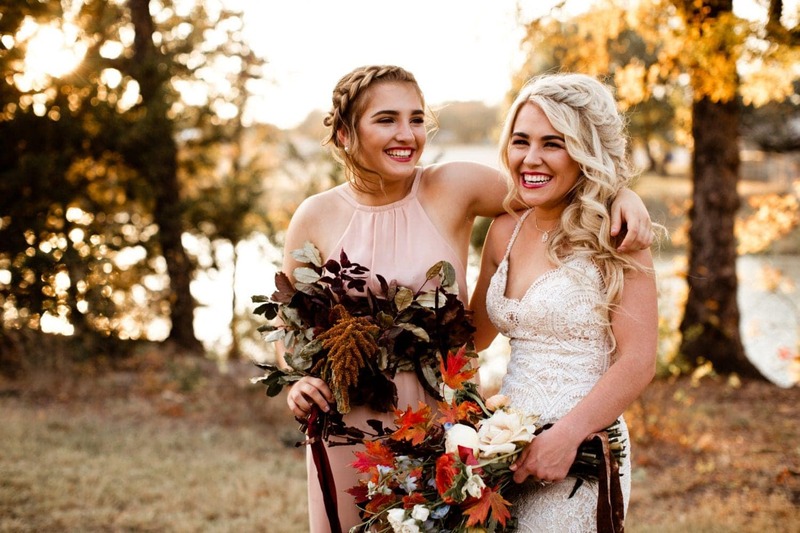 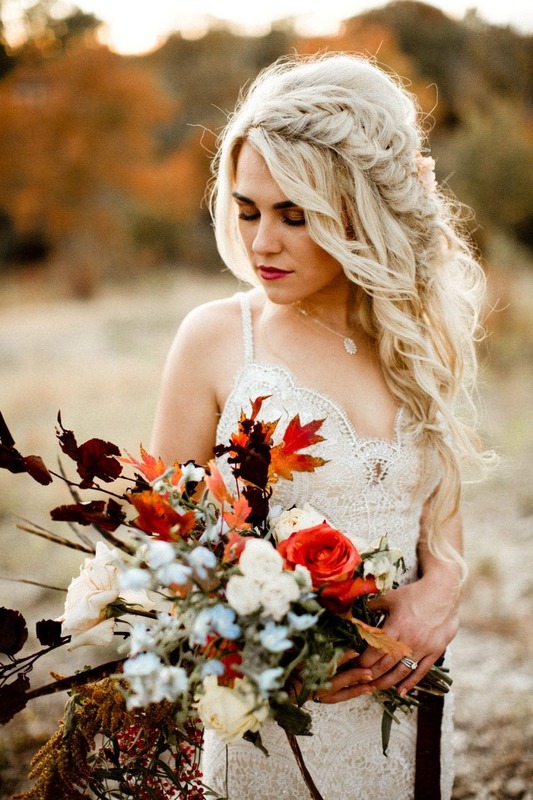 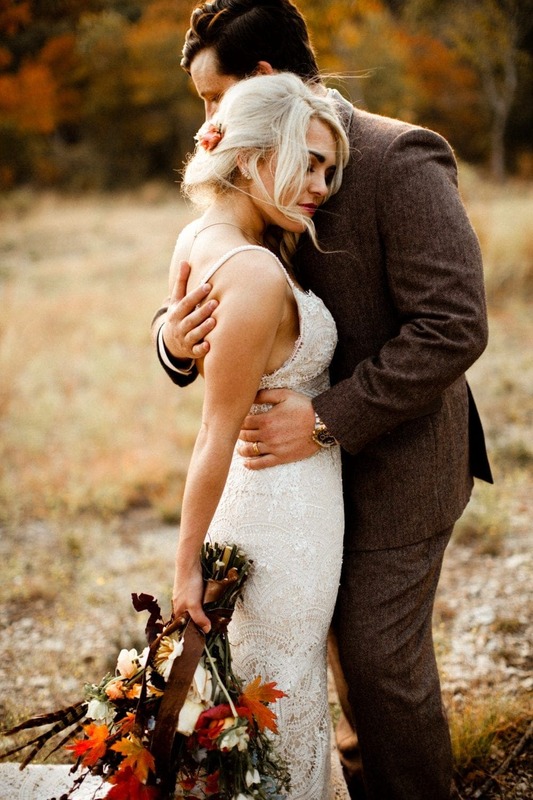 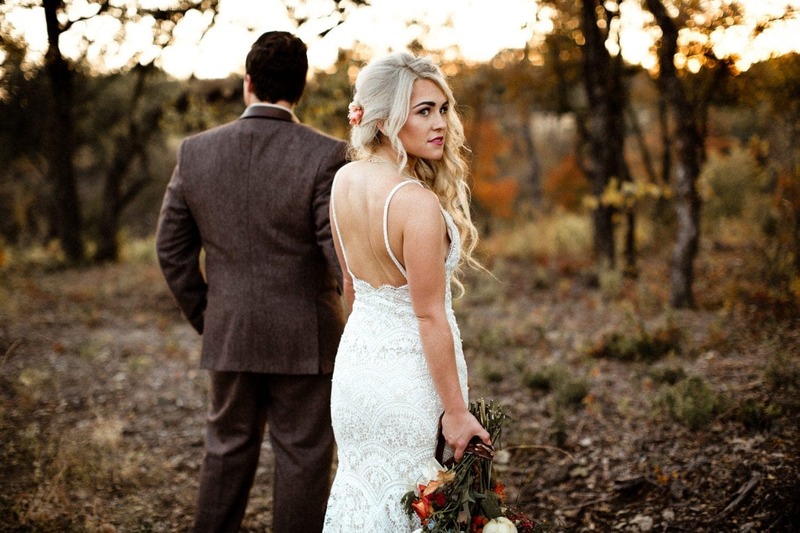 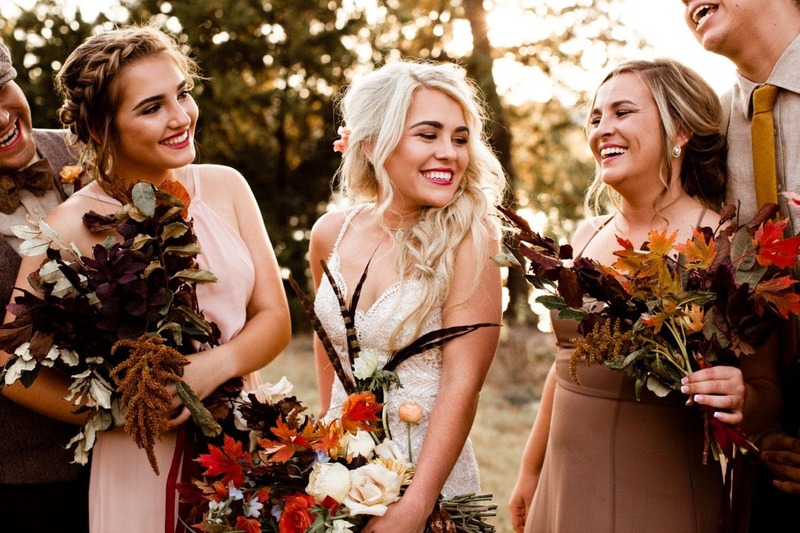 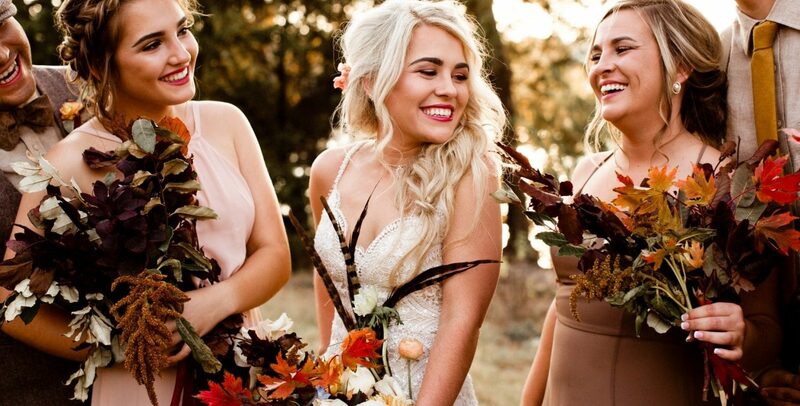 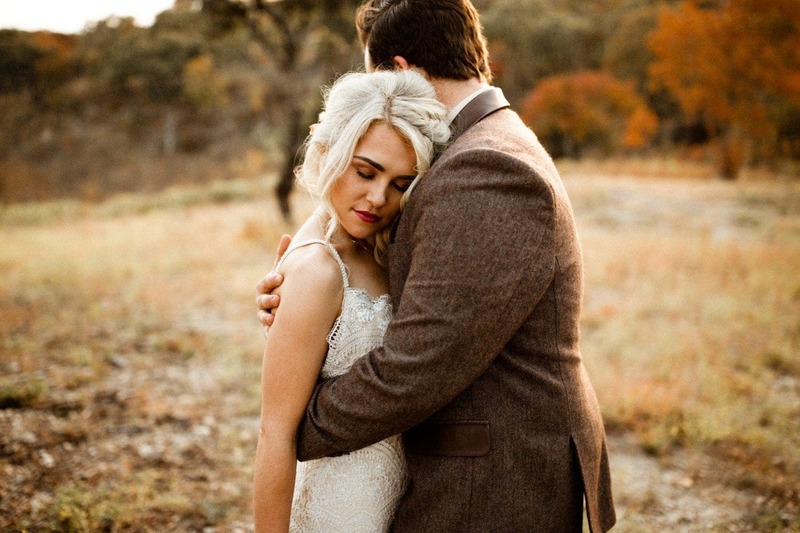 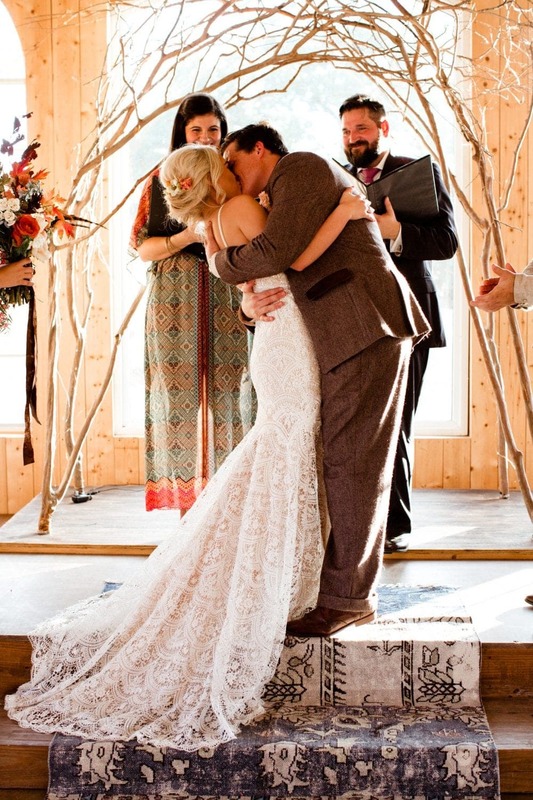 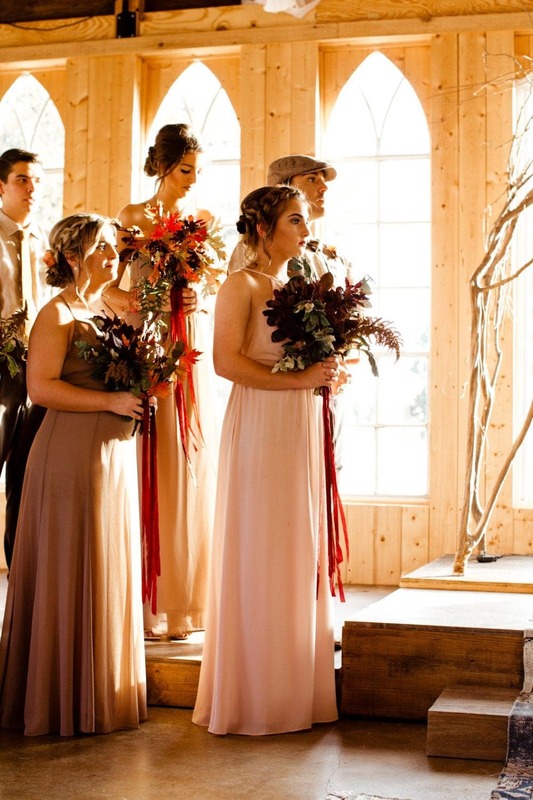 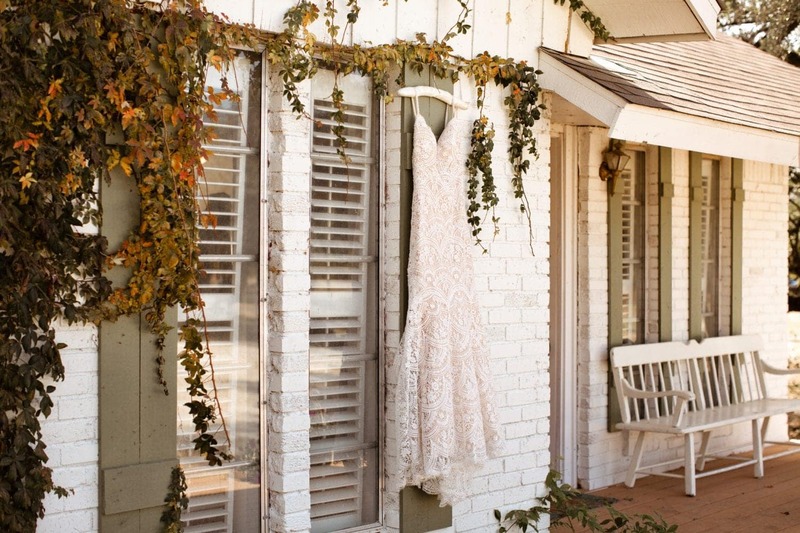 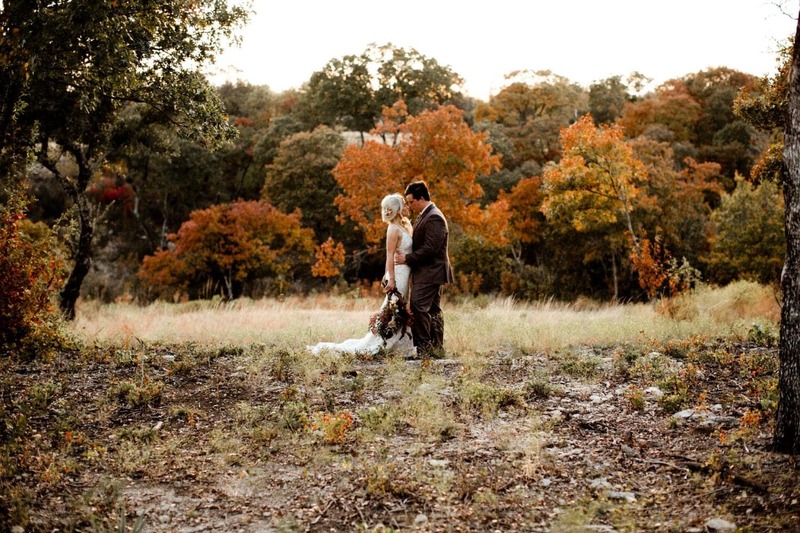 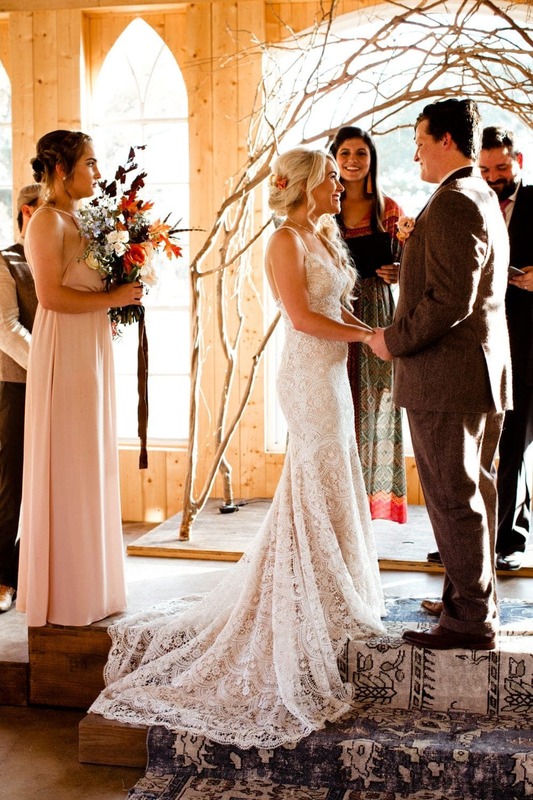 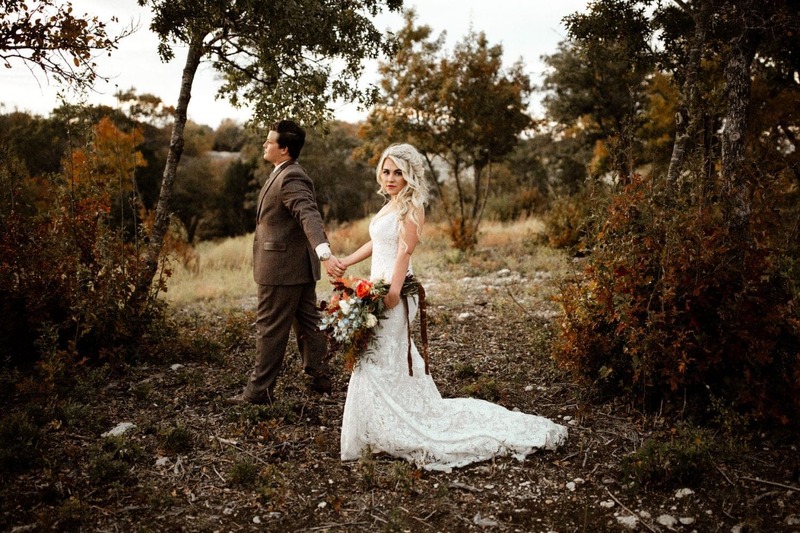 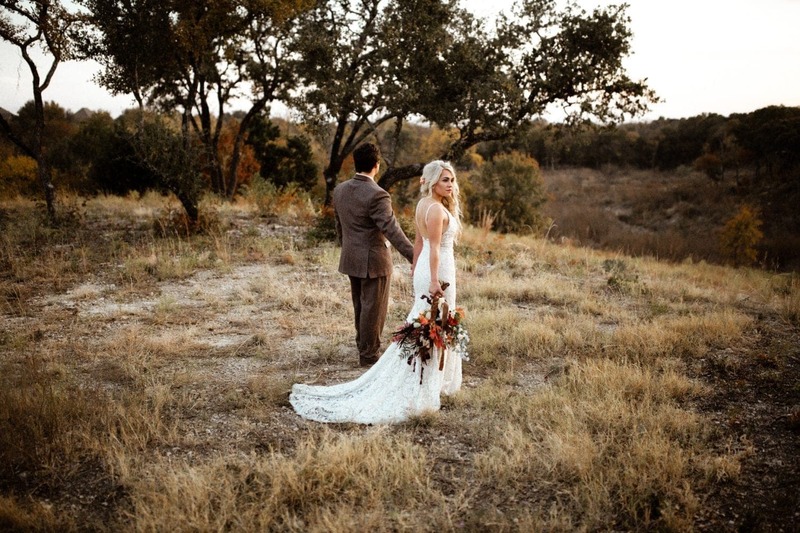 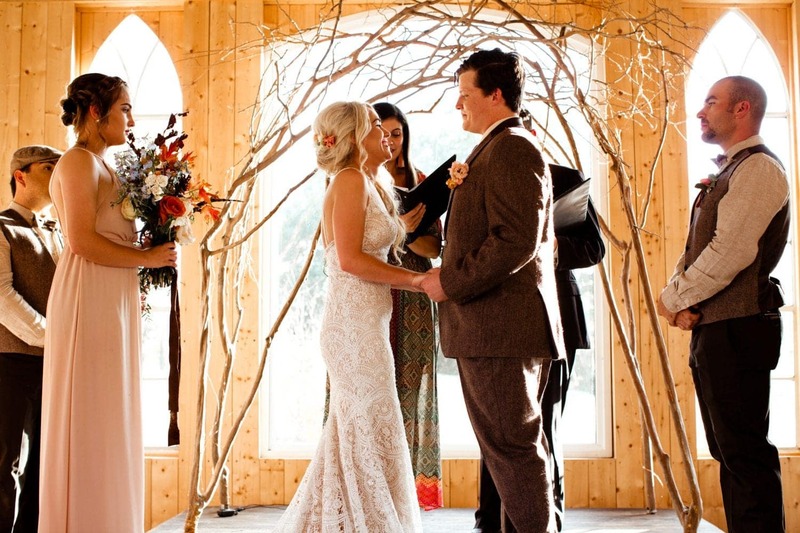 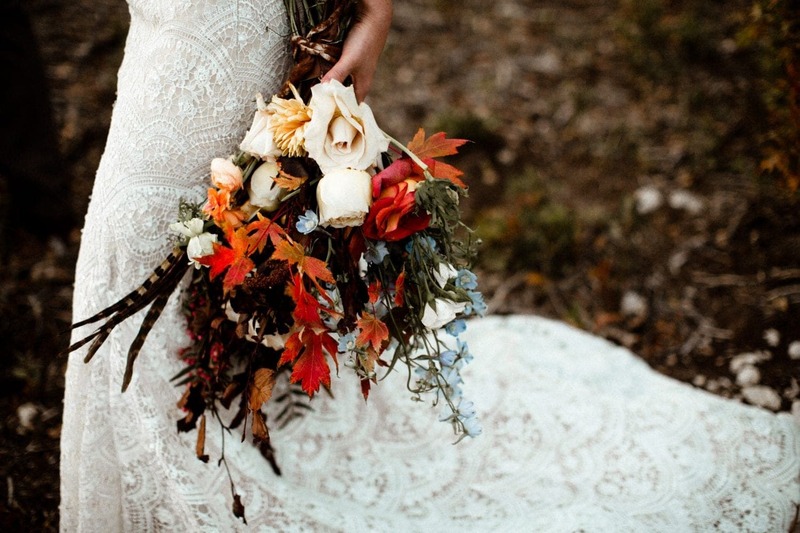 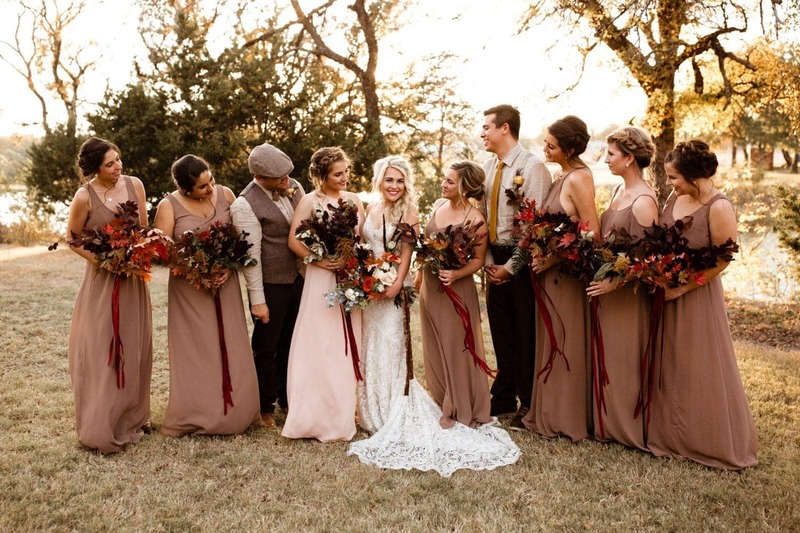 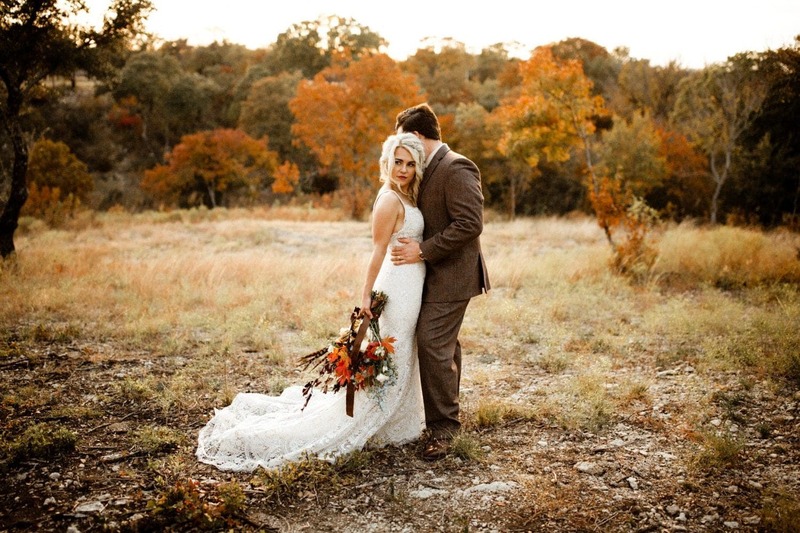 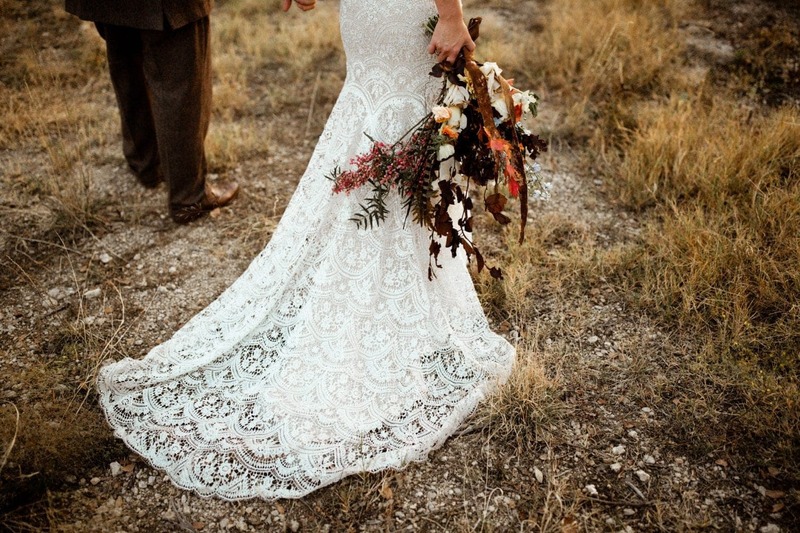 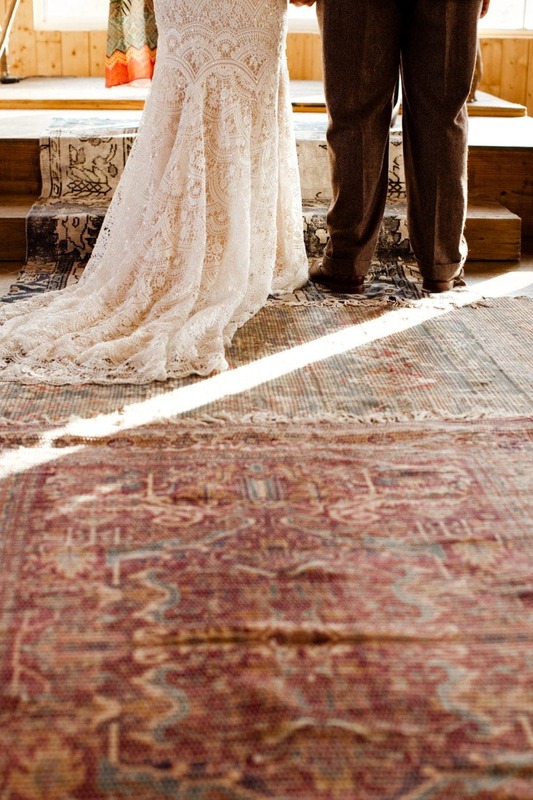 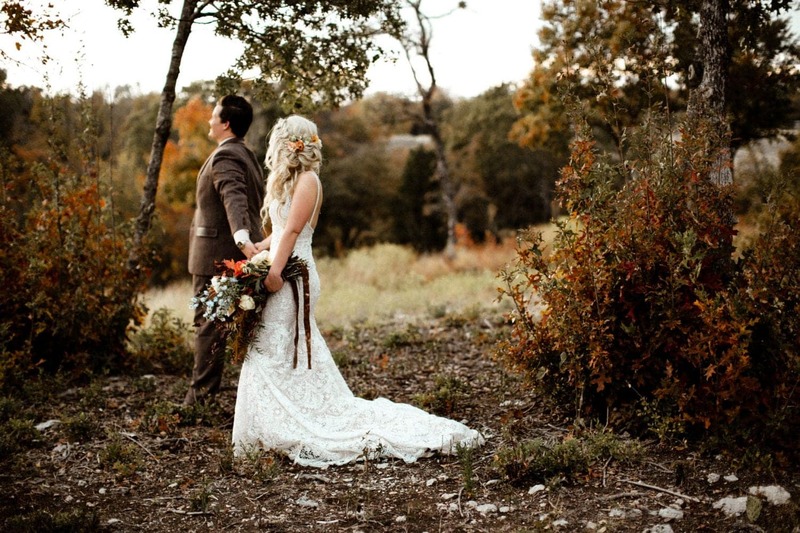 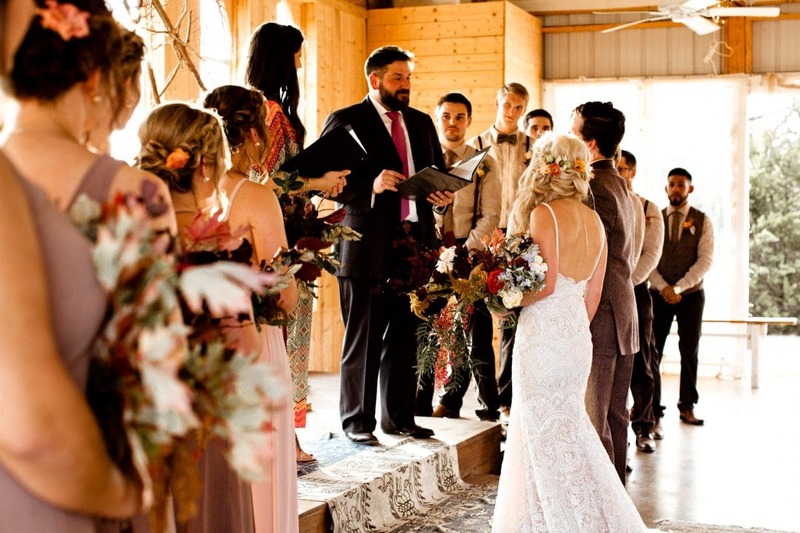 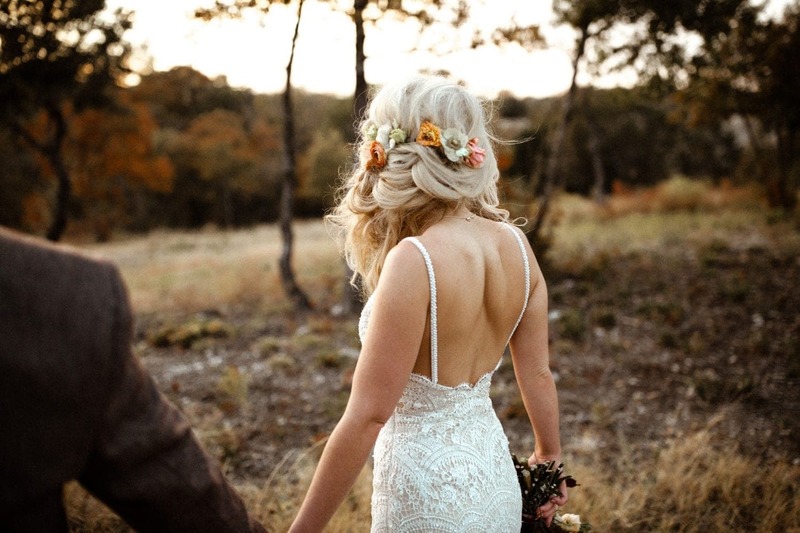 All of the colors and tones were there for this fall woodsy wedding. 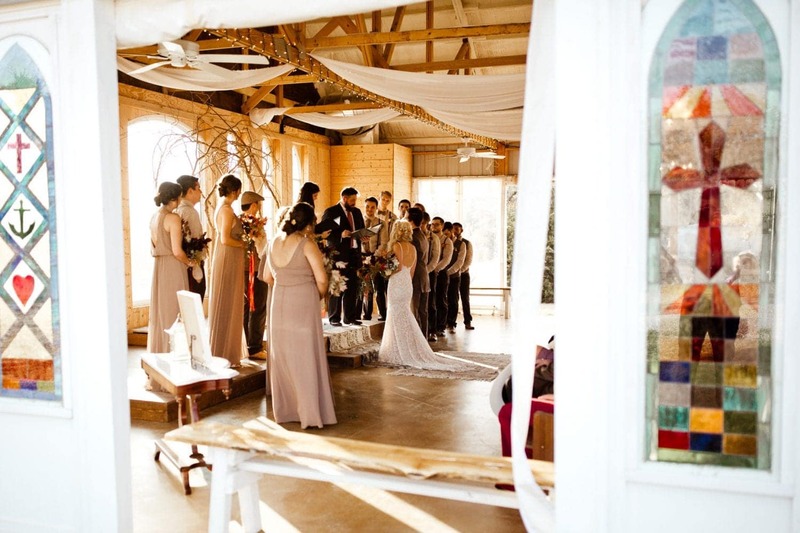 There were so many different areas and rooms, which helped our minds fill with creative ideas for photos. 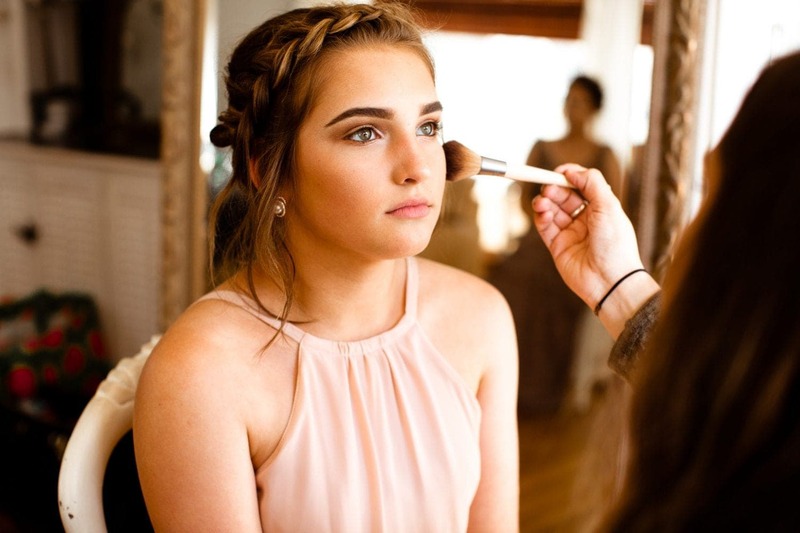 The house Savanah got ready in was so cute! 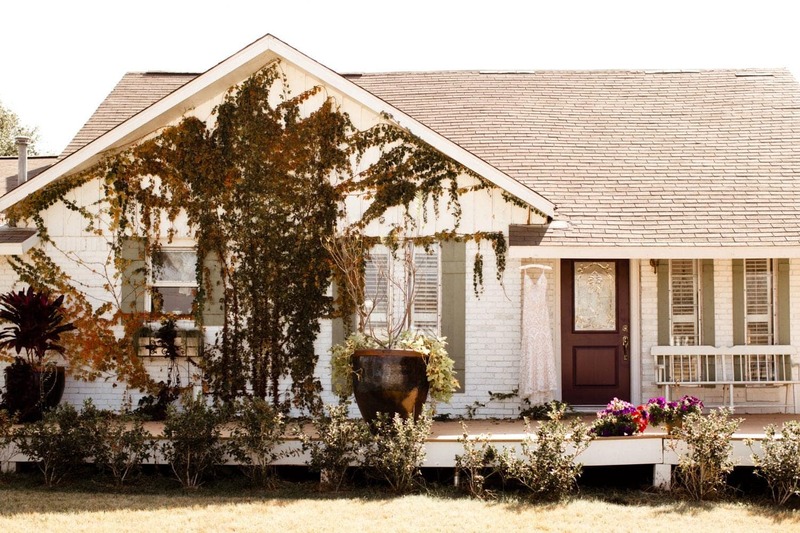 It had vines running all down the front of the house. 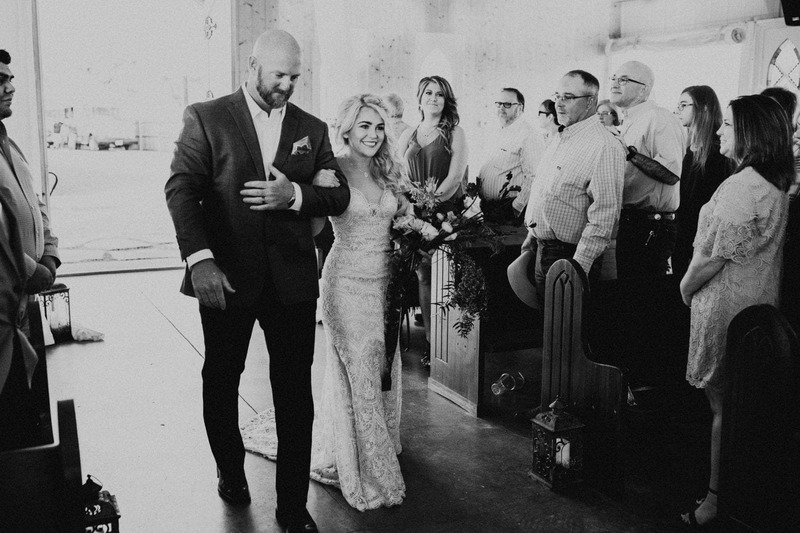 It truly looked like stepping in to a Disney movie. 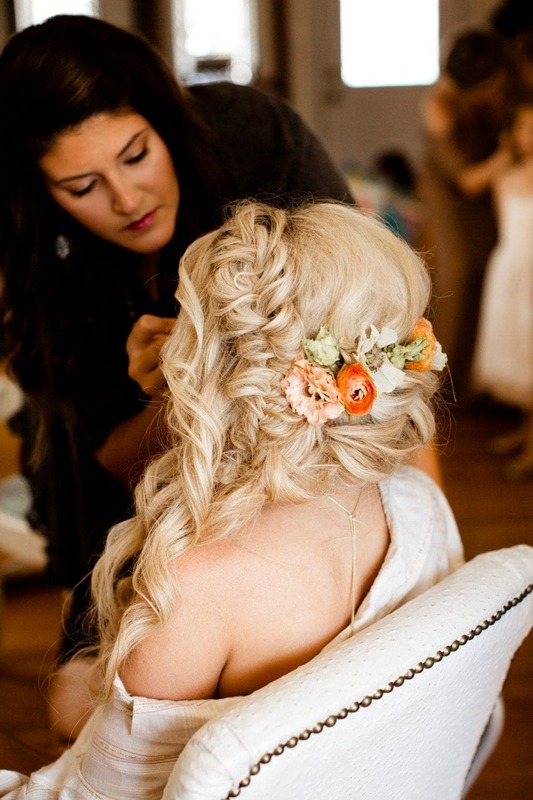 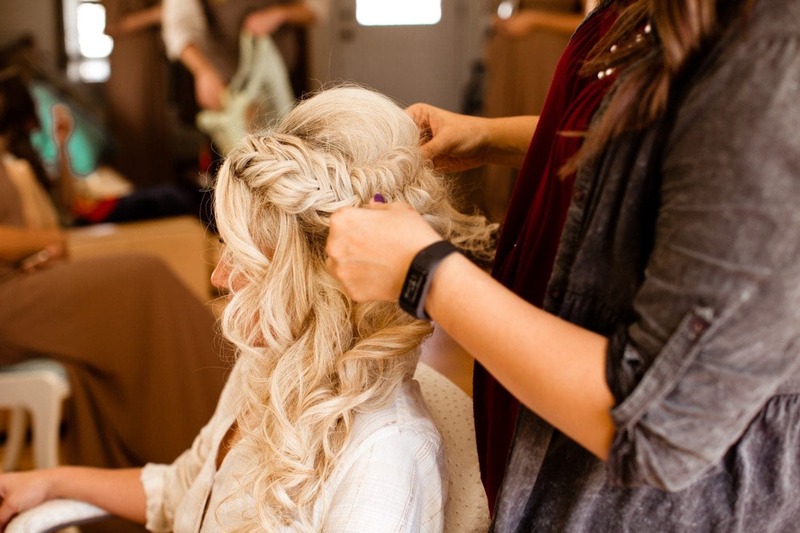 Not to mention, Savanah has beautiful blonde hair, like a Disney princess. 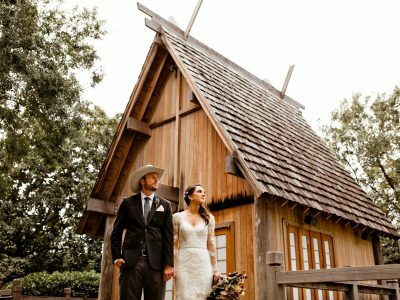 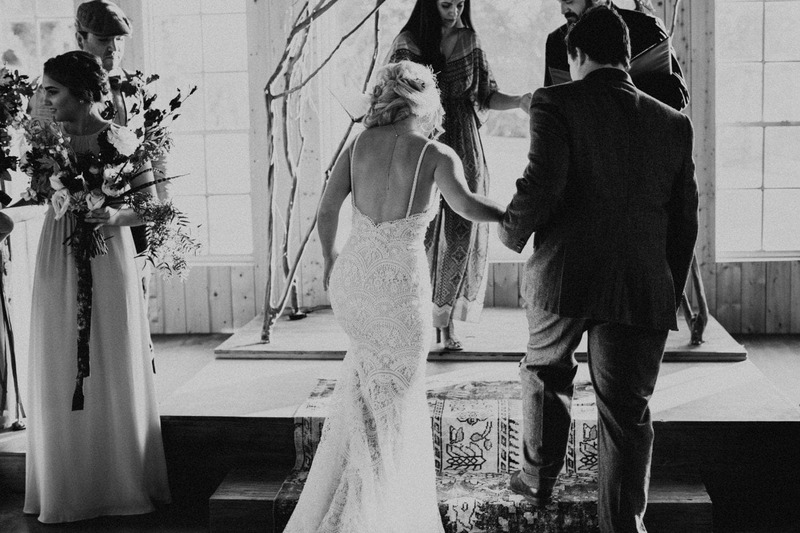 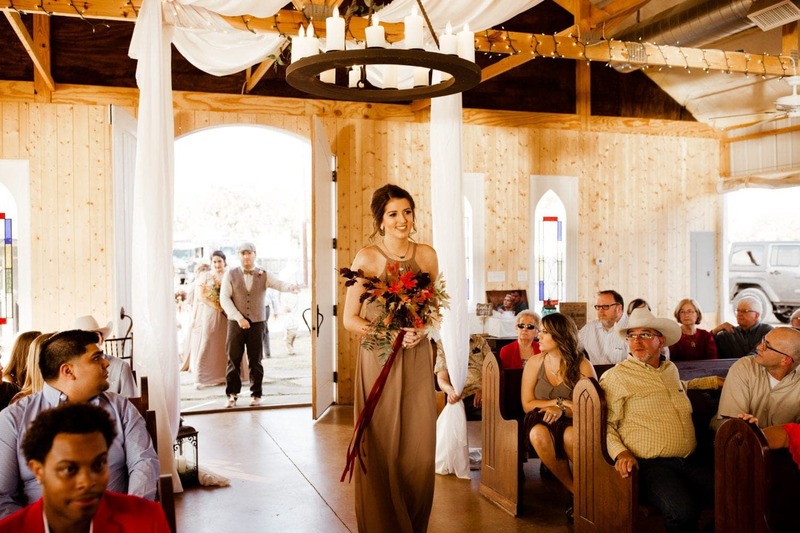 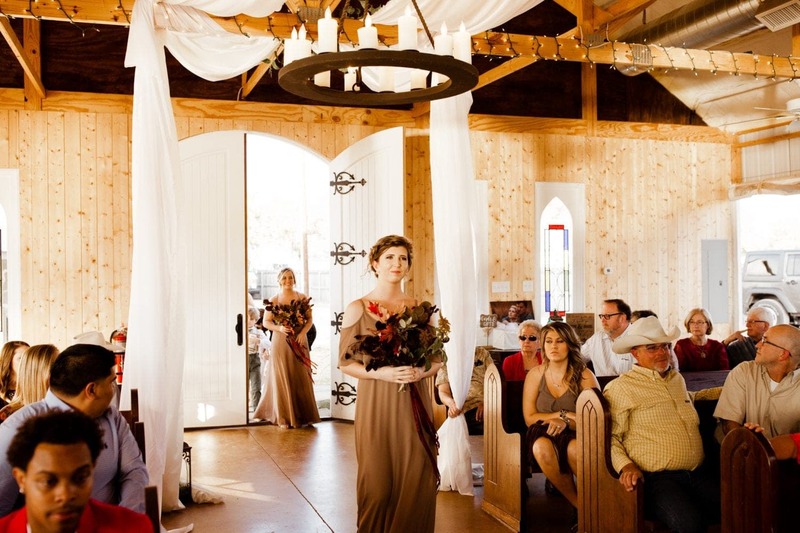 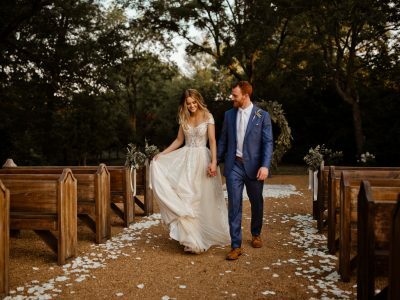 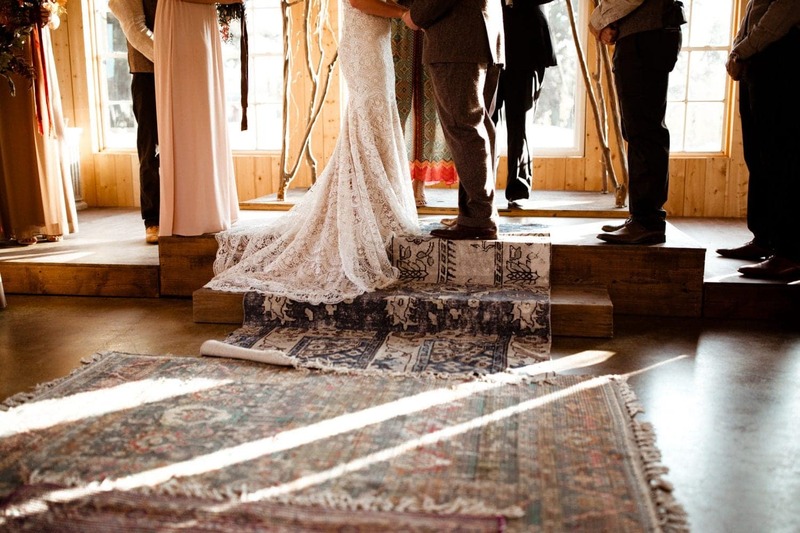 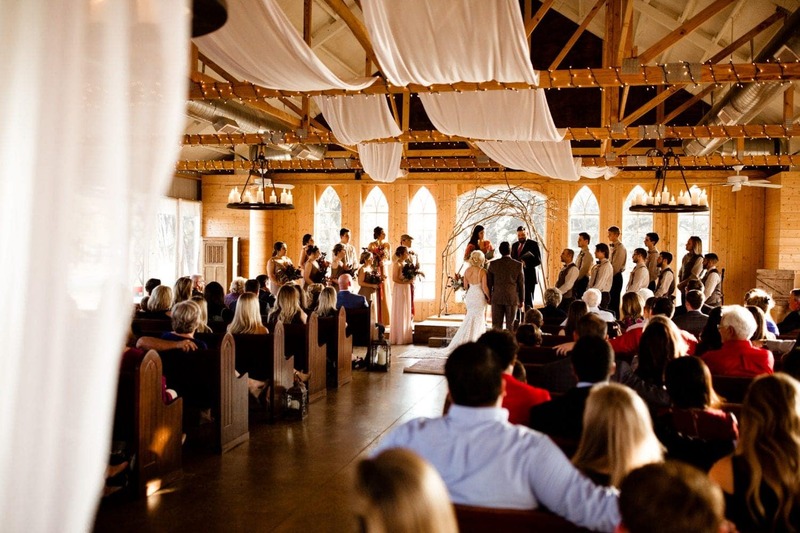 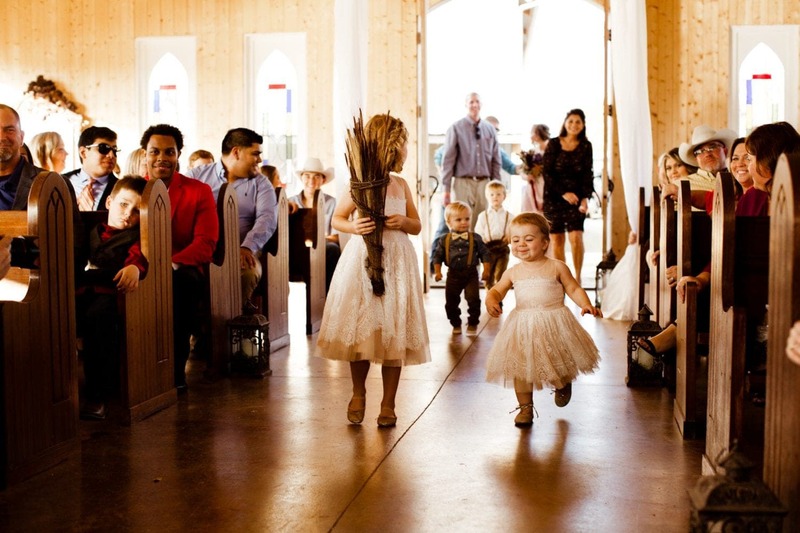 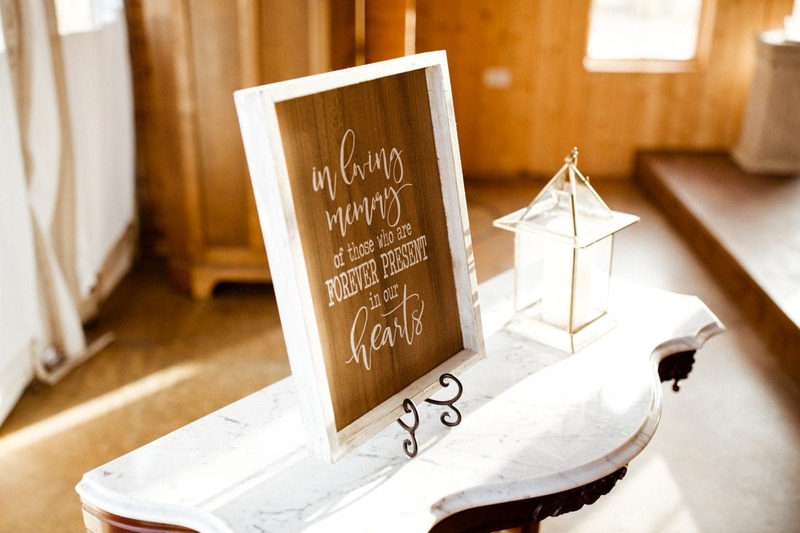 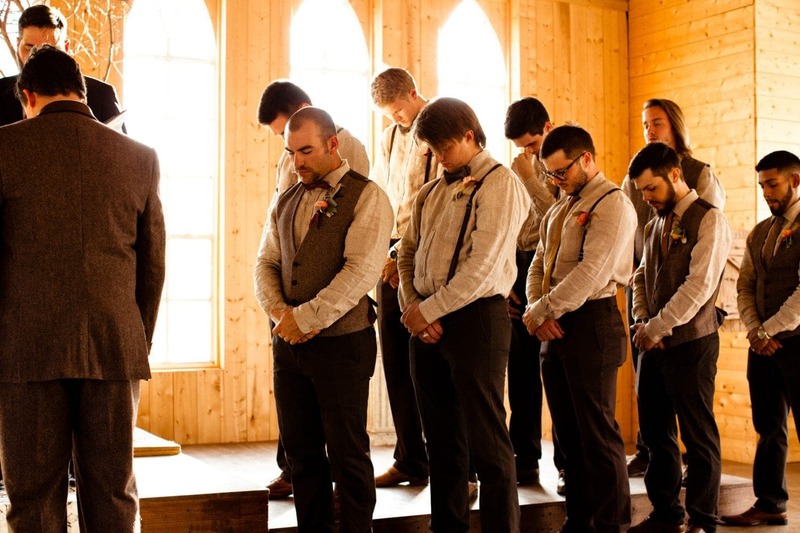 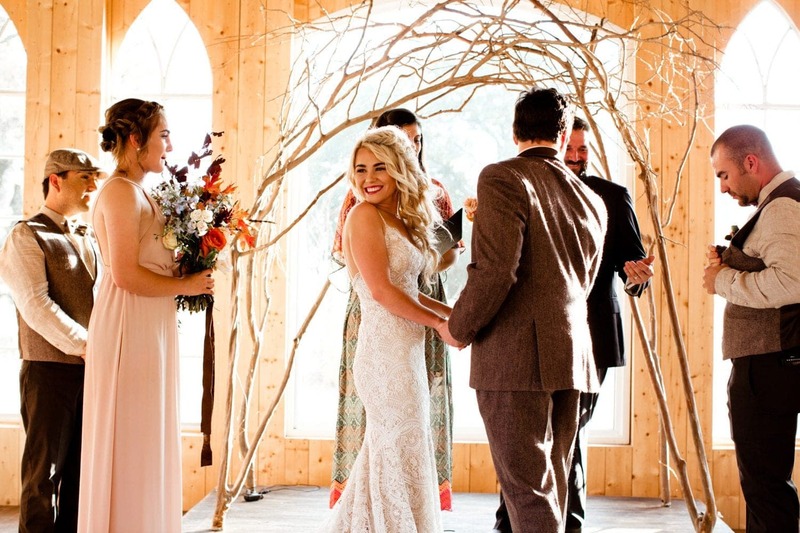 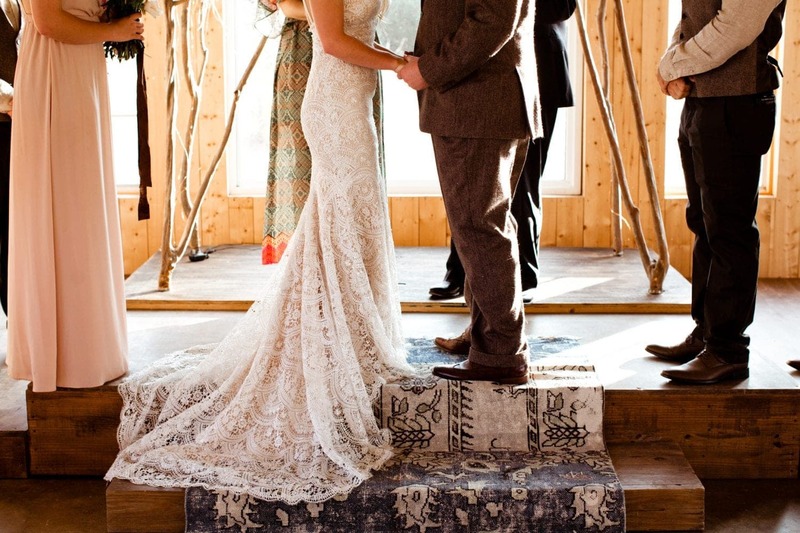 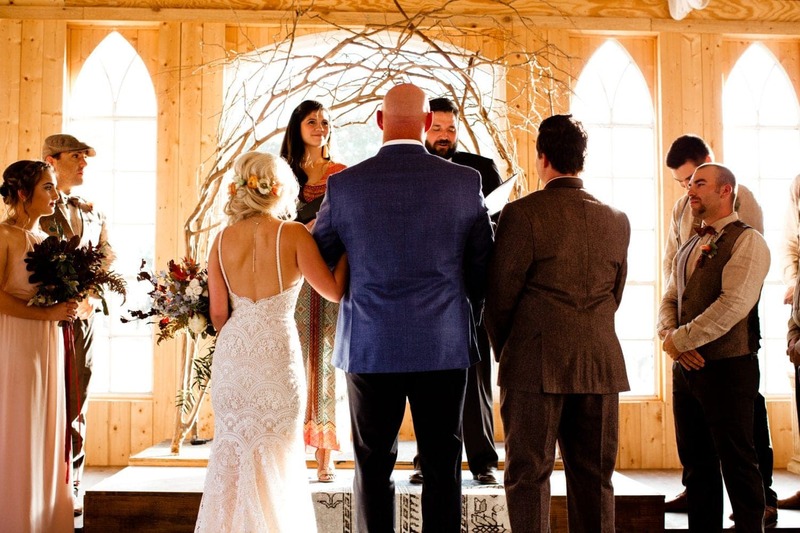 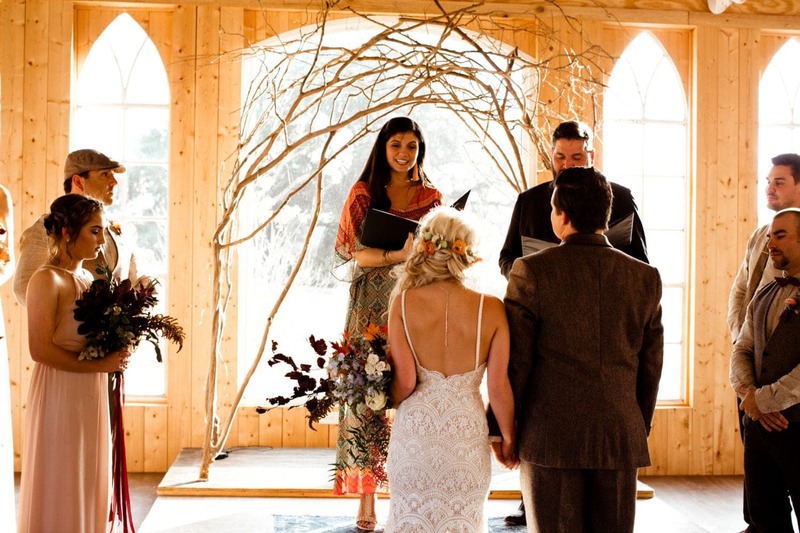 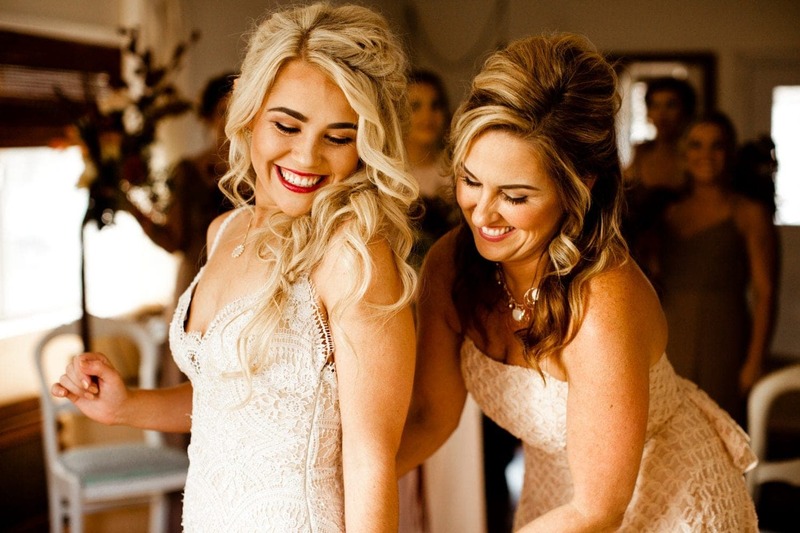 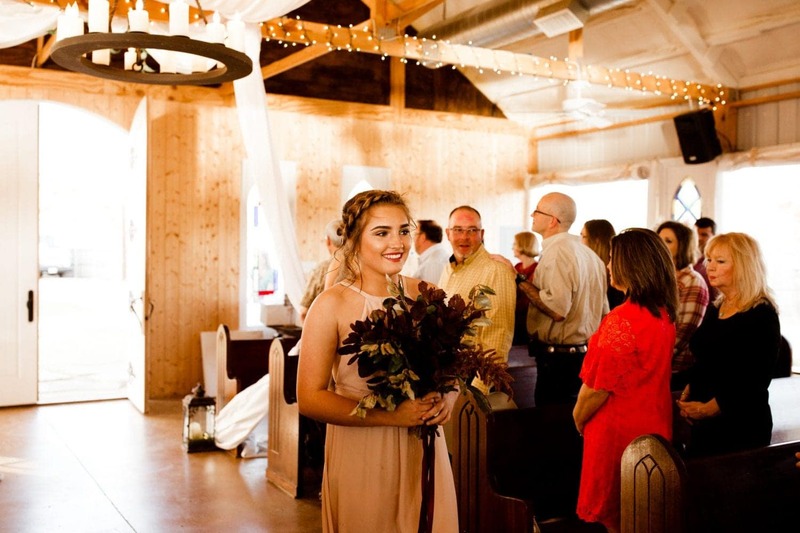 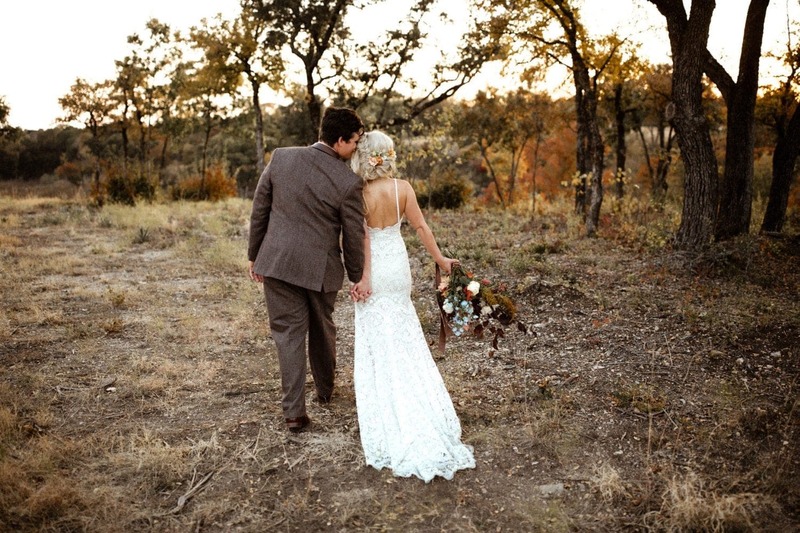 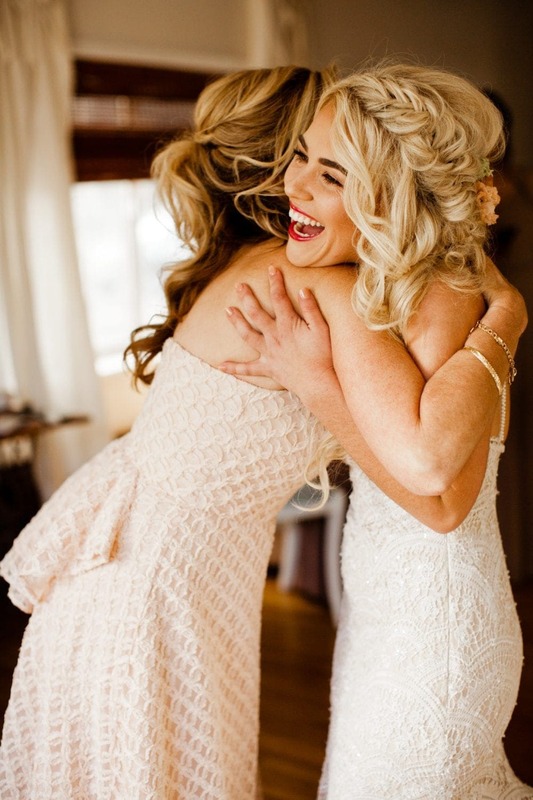 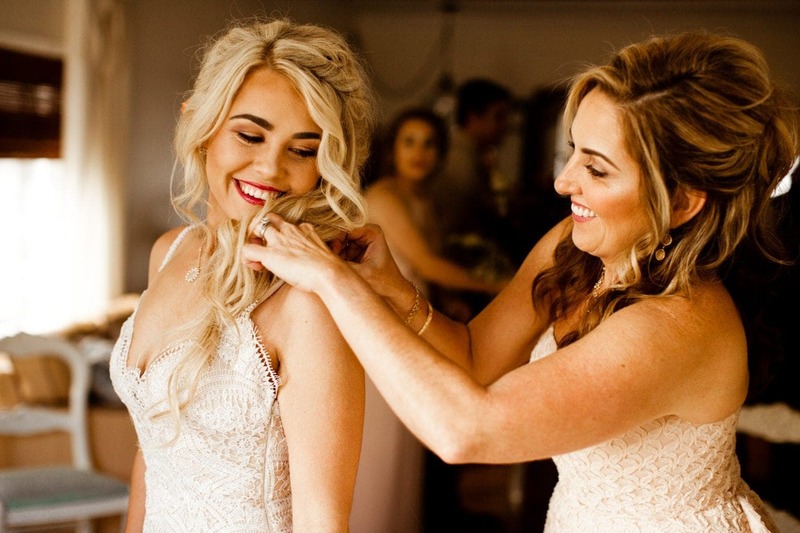 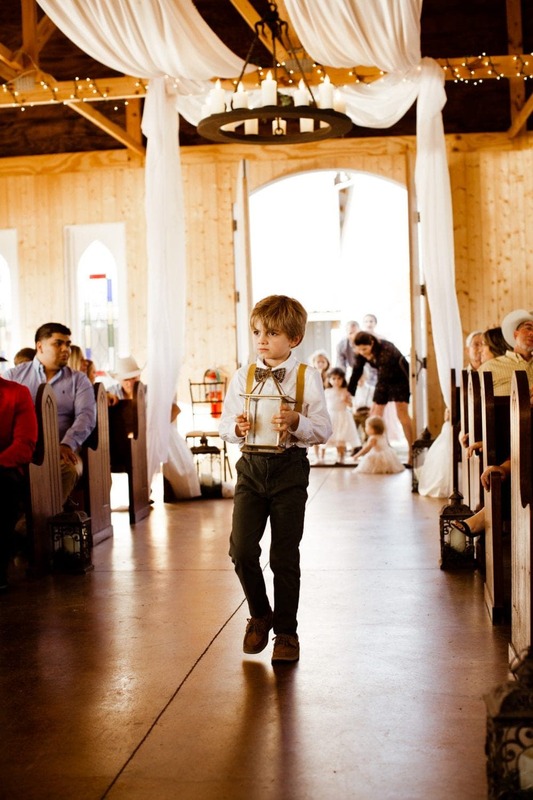 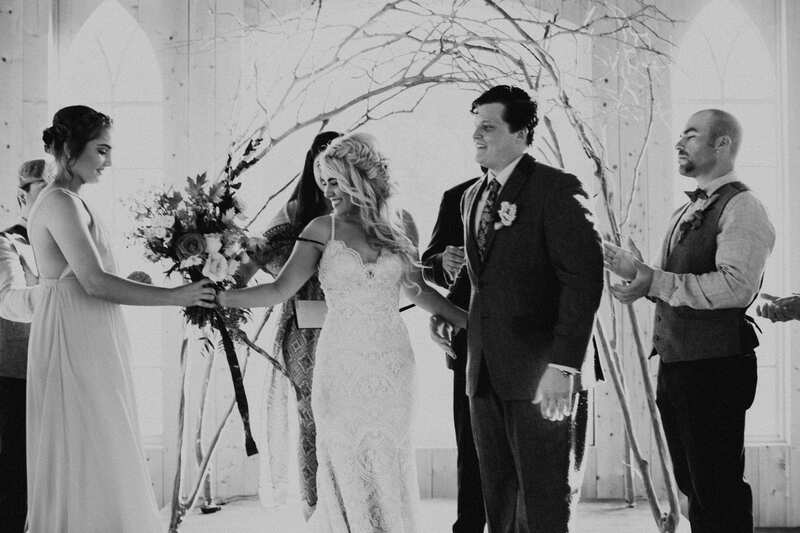 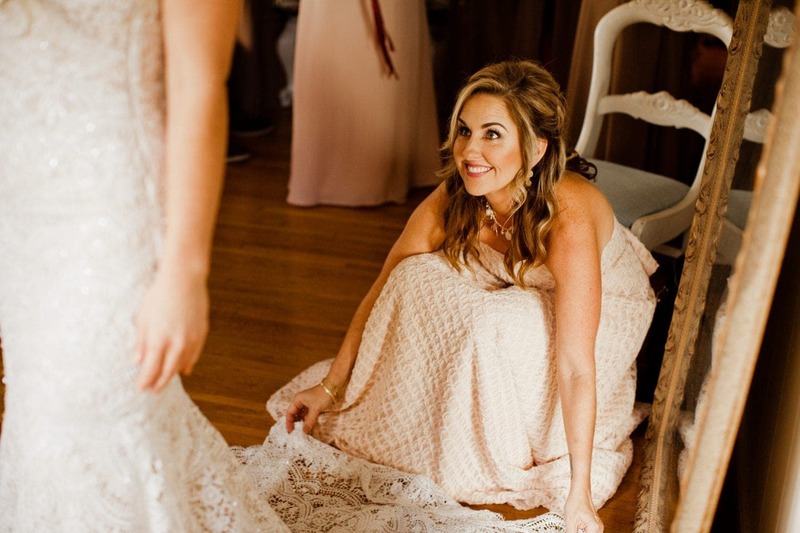 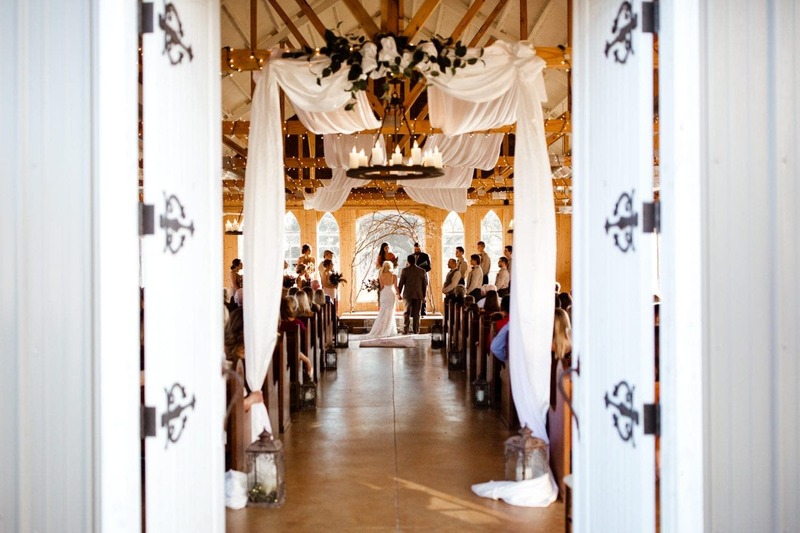 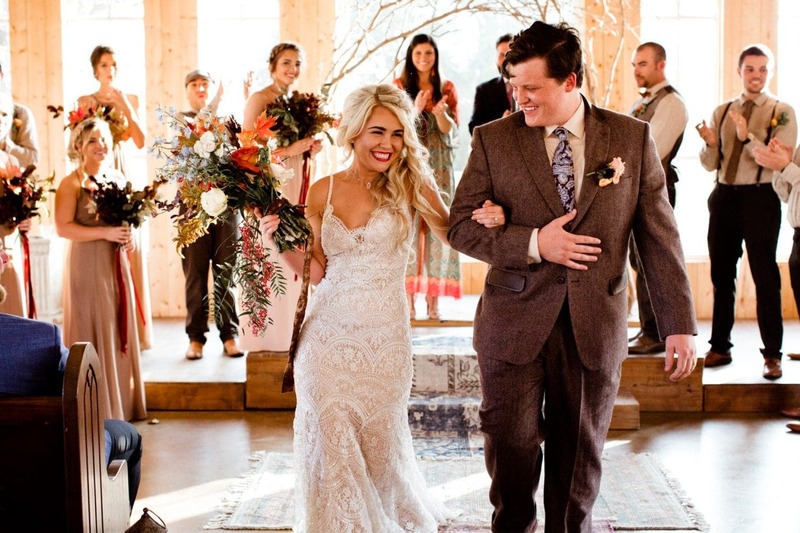 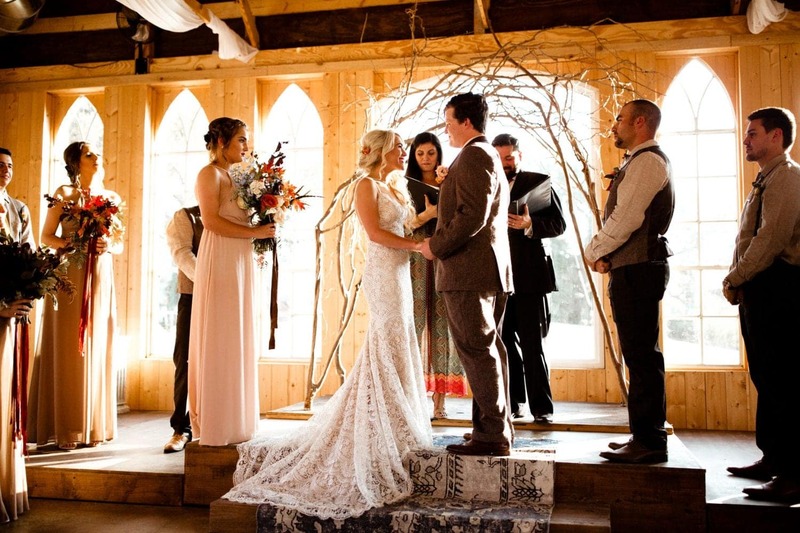 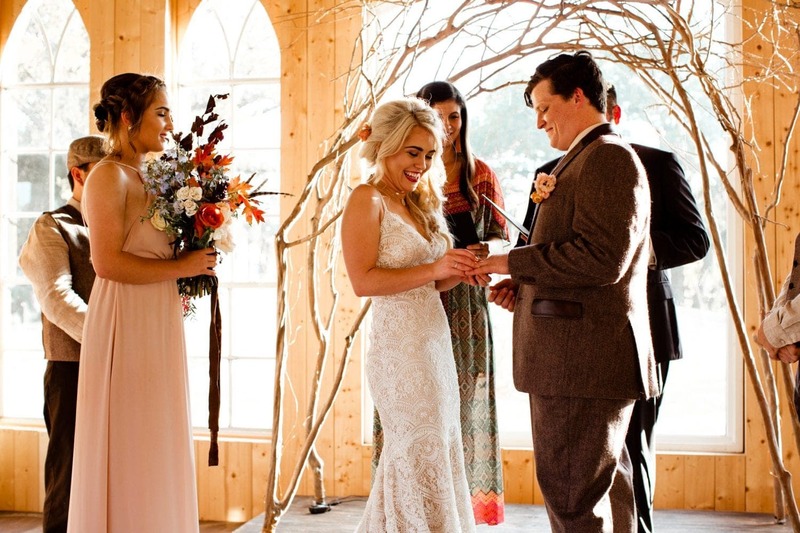 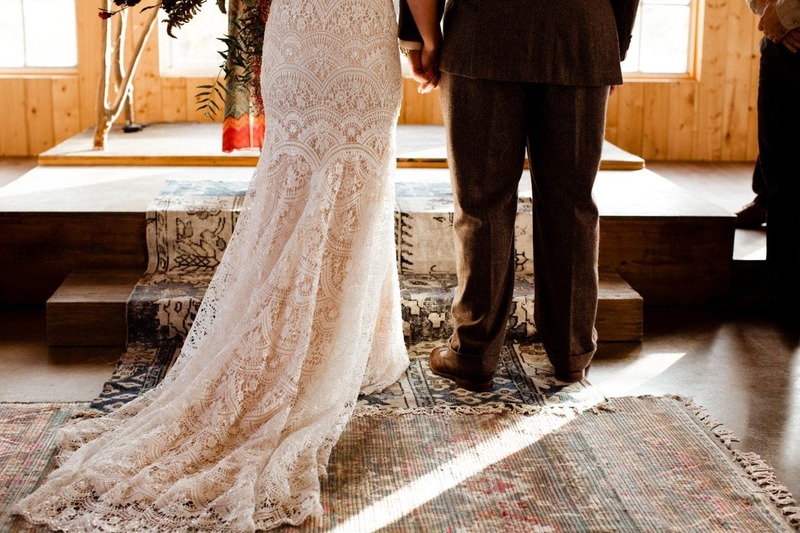 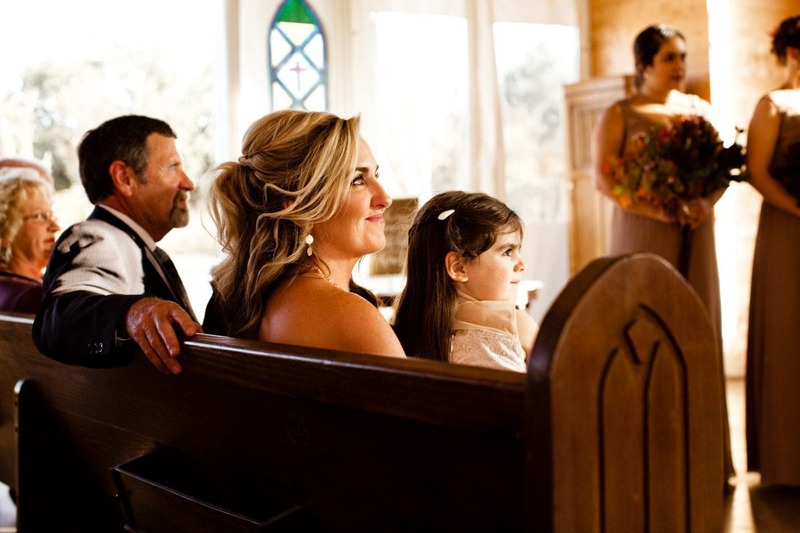 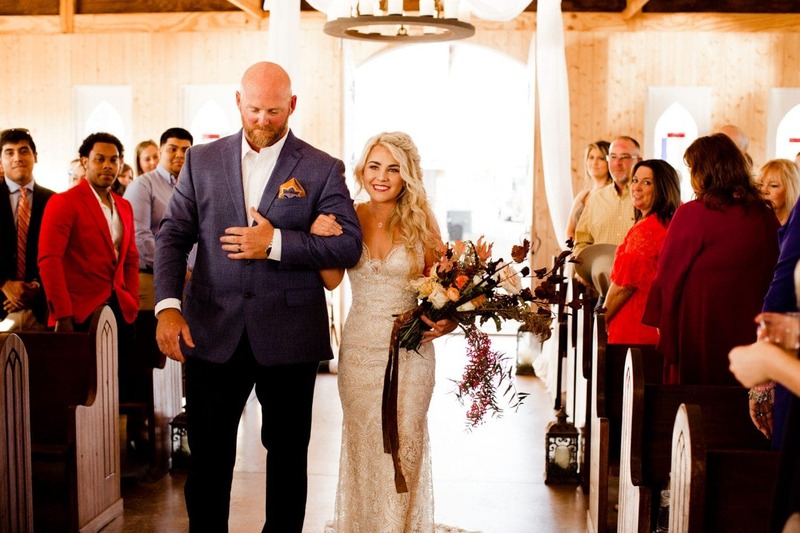 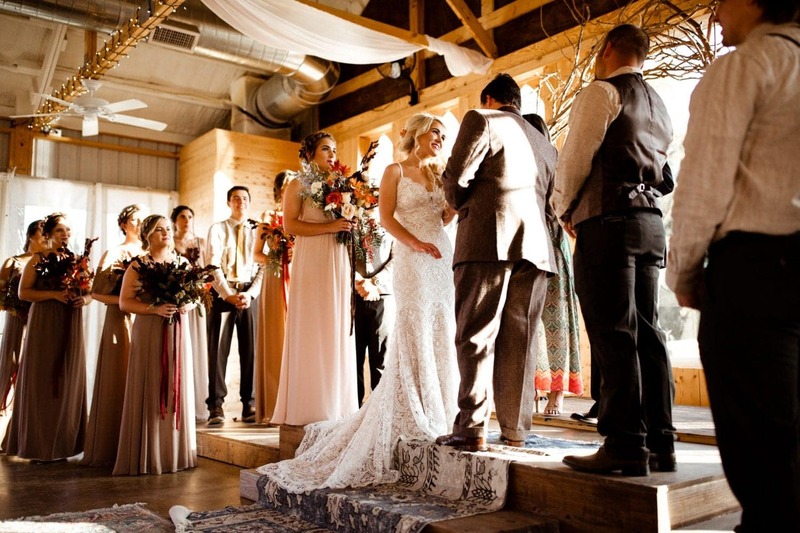 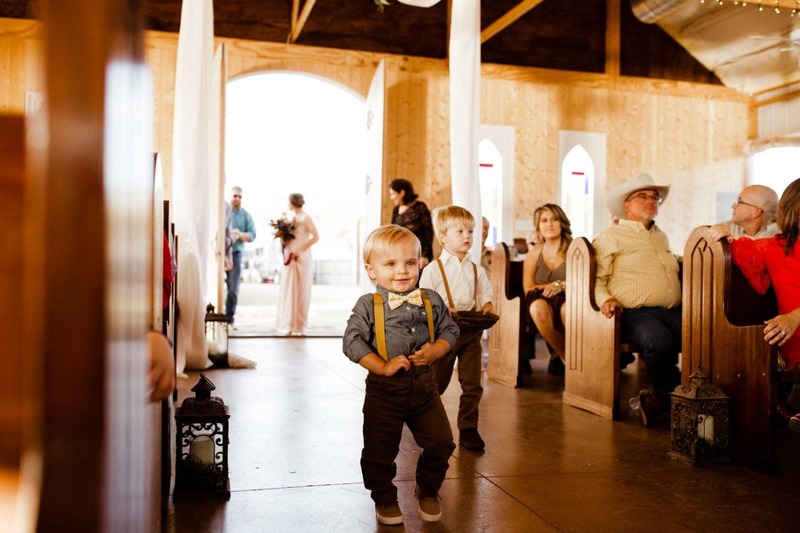 Their ceremony took place in a chapel on the land, which was inspired by a specific chapel in Ireland that the venue owner had seen on a vacation overseas. 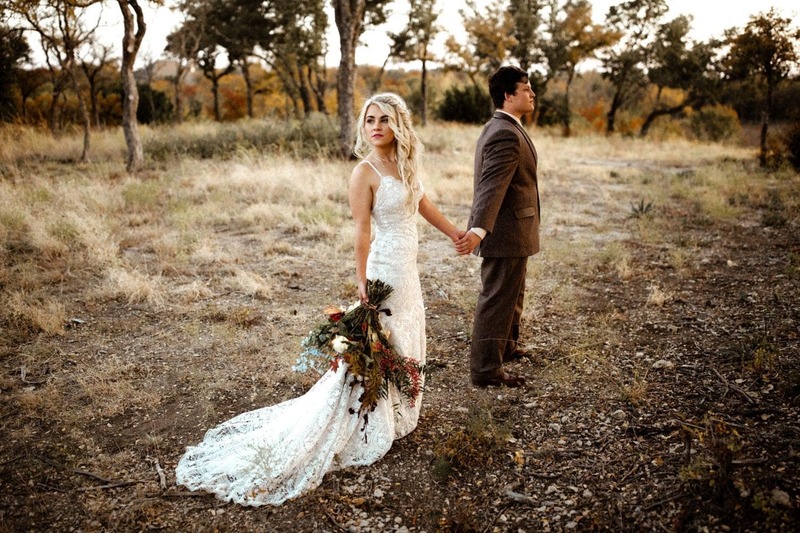 We thought this was so unique and cool. 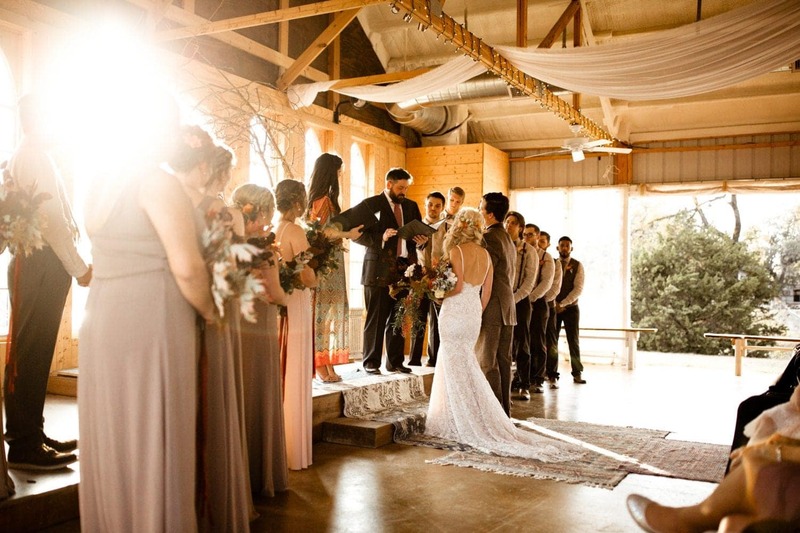 The sunset was kicking through at the perfect time and everything was lit golden throughout the ceremony. 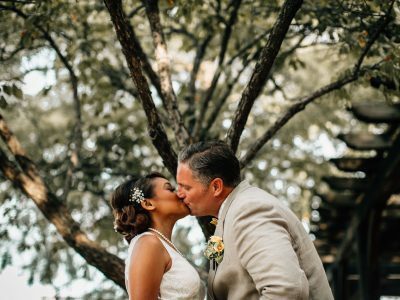 Savanah and Clay flew out to Thailand the next day to begin their honeymoon as newlyweds. 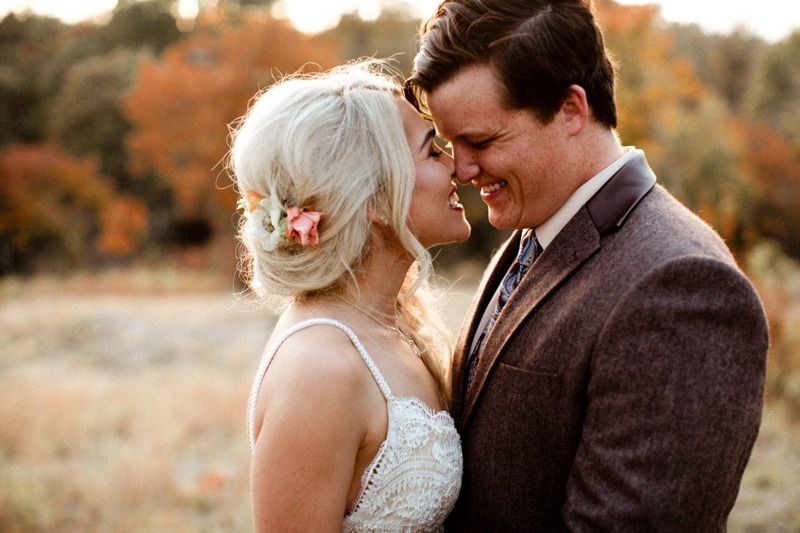 This couple is so sweet, as well as their family members. 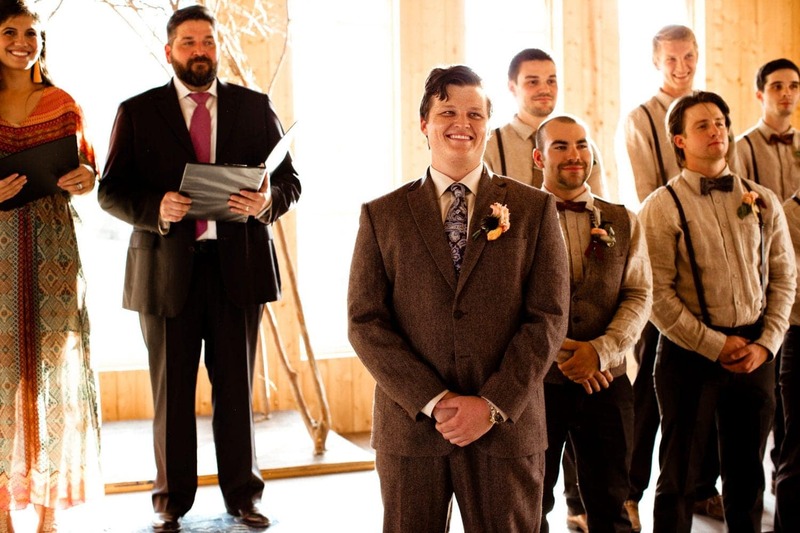 Everyone opened their arms to us on the wedding day and made us feel very comfortable. 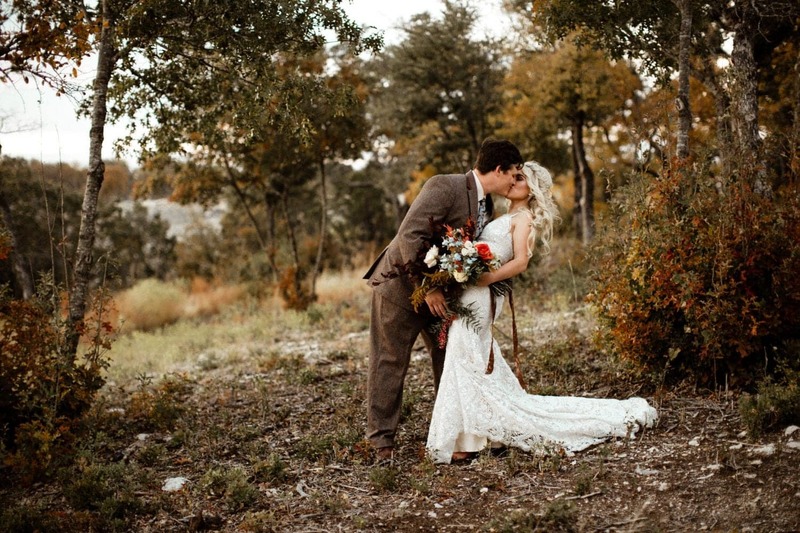 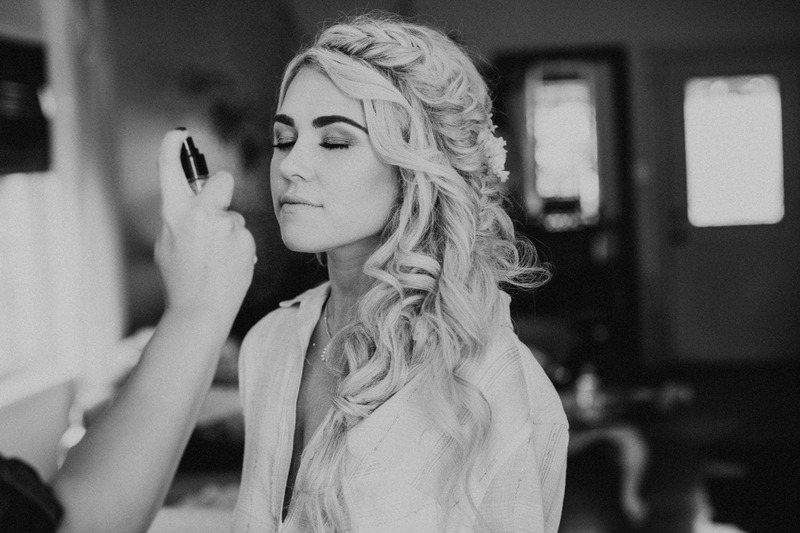 Savanah and Clay, thank you for trusting in us letting us be such as special part of your wedding day!